Hannibal-LaGrange University is holding the 16th annual Carroll Missions Days February 13 and 14, as a special time to emphasize God’s commandment to spread the gospel throughout the world. The schedule for HLGU’s 2019 Carroll Missions Days includes 10 am chapel services Wednesday and Thursday in the Parker Theatre of the Roland Fine Arts Center. Each year, HLGU celebrates their global vision through a week of emphasizing missions on campus. Missionaries from all over the world travel to the HLGU campus to interact with students. HLGU students have had the opportunity to not only listen to missionaries from Africa, Asia, Central America, Europe, and South America speak, but to also sit down one-on-one and discuss their experiences and potential opportunities to serve. This year’s featured speaker is Dr. James T. Draper, Jr., president emeritus of LifeWay Christian Resources. Dr. Draper has six doctorate degrees in divinity, humanities, and laws. Before serving as President and CEO of LifeWay for 15 years, Draper pastored at eight churches across Missouri, Oklahoma, and Texas from 1956 to 1991. 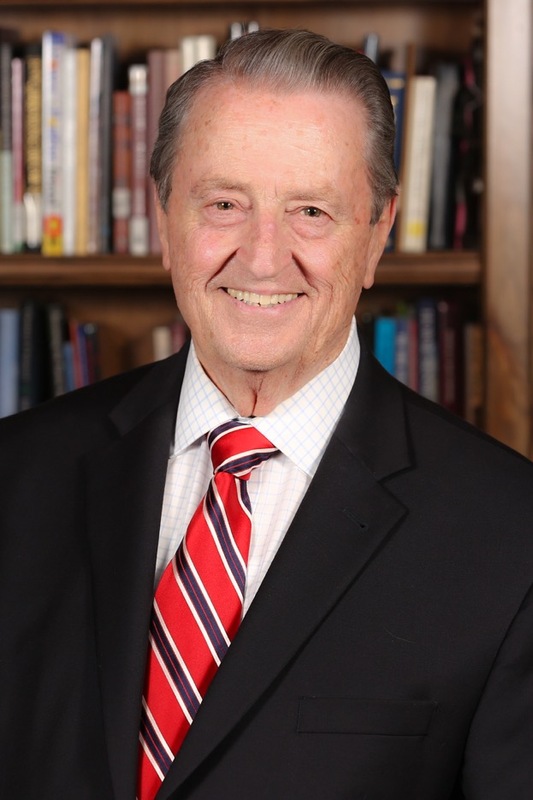 Since 1974, Draper has served as trustee and in other leadership roles at 14 universities, conventions, and associations and is currently serving as a trustee at Criswell College and as chairman of the board of visitors at Southwestern Baptist Theological Seminary. He has written 31 books and has won five denominational awards from Southwestern Baptist Theological Seminary, Southern Baptist Theological Seminary, Union University, and the Southern Baptists of Texas Convention. Draper has traveled to 36 countries around the world, leading in evangelistic services, activities, conferences, and meetings with missionaries and nationals. In 1990, he organized and led a crusade in Kenya where over 60,000 professions of faith were made. He and his wife Carol Ann have been married for 62 years and have three children, six grandchildren, and two great-grandchildren. Carroll Missions Days are a result of the vision and generous resources of the late Kenneth and Rheyma Carroll of Monroe City, MO. Before his death in 2008, Mr. Carroll said he wanted to do something that would make a difference in eternity. With the establishment of the Carroll Missions Week and the building of the Carroll Missions Center and Carroll Science Center, Mr. and Mrs. Carroll are touching eternity through the lives of thousands of HLGU students. For more information on Carroll Missions Days, contact Caren Sheputis at 573-629-3075, or via email at caren.sheputis@hlg.edu. For information on HLGU missions, visit the website at hlg.edu/missions.